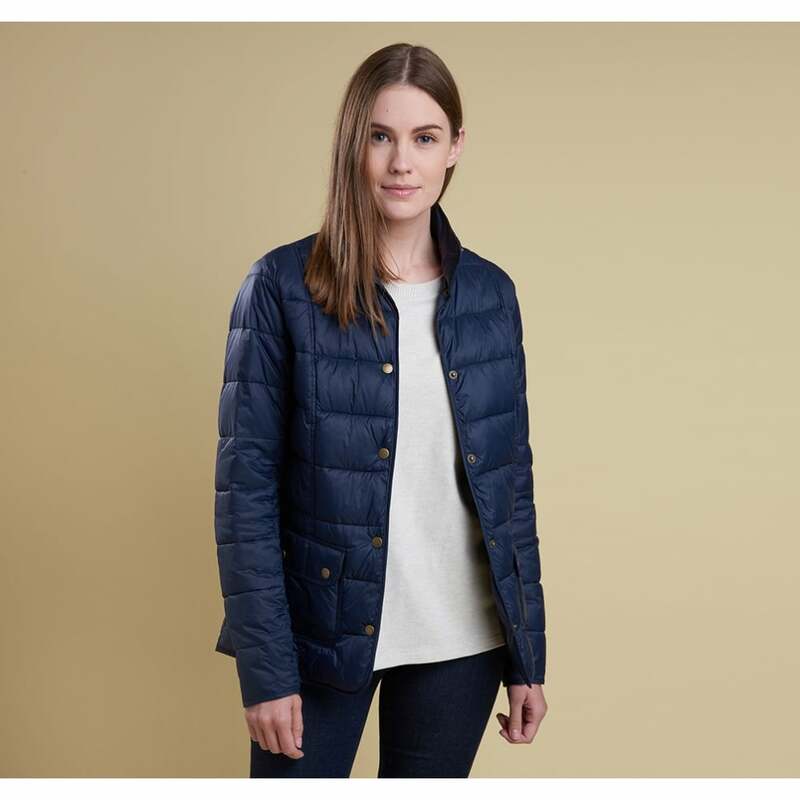 The Barbour Moorfoot Quilted Jacket is beautifully versatile with a modern twist on the classic quilted Jacket. Injected with Barbour's signature style this jacket features studded patch pockets and inner seams bound in dress tartan. The simple yet eye catching jacket features a gorgeous horizontal baffle quilting to front and back giving a flattering effect. The Moorfoot Quilted Jacket is a lightweight summer must-have.